How Green is Your Access Floor? Hot days, warm nights. Picnics, with ice cream for dessert. Ice cream, good. 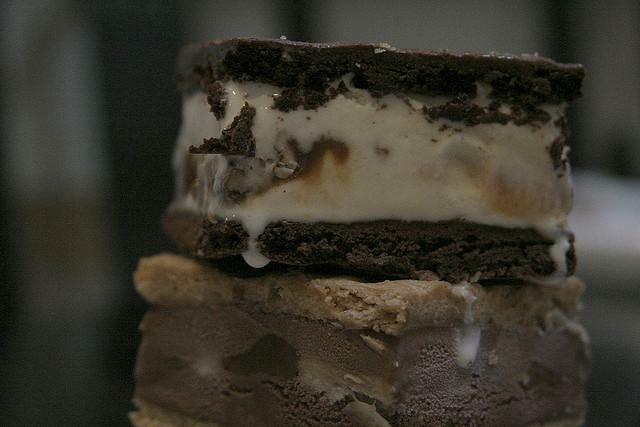 Ice cream sandwiches, even better! It's starting to sound pretty nice, right? You know it does! But, what about a concrete sandwich? But that's what most access floor panels are: concrete sandwiches. They put a bunch of concrete between two layers of thick steel, and then you walk on top and run cables and pipes underneath. Doesn't sound so bad, until it gets old and you have to get rid of it. You do the right thing and decide to recycle it. Ooops, the recycling center doesn't like concrete sandwiches! Netfloor USA ECO access floor panels are made from a minimum 90% post-consumer content, and are fully recyclable. This is significant in an industry where the traditional access floor panel is made of a concrete core sandwiched between layers of steel. 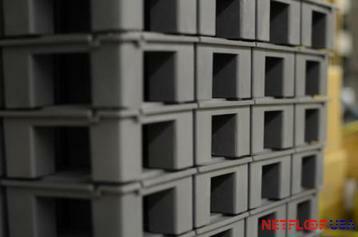 The traditional panels do not use recycled concrete cores, and very few use recycled steel. Furthermore, traditional panels are incredibly hard to recycle and reclaim the materials. Imagine trying to strip off thick metal skins to get to the inner concrete core; it's just not practical or profitable for a recycling company. The Netfloor USA ECO product uses a high-strength polypropylene panel. The panel is fully recyclable and is made from a minimum 90% recycled material. The other major component of the Netfloor USA ECO access flooring system are the cable trench plates which are used to cover the cable trenches. Again, as with the panels themselves, these trench plates are very easily recycled since they are solid metal; there is no inner concrete core, nor an outer steel coating that is impossible to strip away. Finally, because the Netfloor USA ECO system is strong yet very lightweight, owners can reuse it. Traditional access flooring is not often reused; usually because of uninstallation costs and the cumbersome and heavy nature of the components. Thousands of square feet of old access flooring find their way to a warehouse to sit for years, unused, or worse yet, to a landfill. With the Netfloor USA ECO access floor system, if an owner relocates, the flooring system is very easy to uninstall and redeploy at the new location. There is no waste! Recycling is great, and reusing can be even better! Netfloor USA ECO access floors are perfect for business owners as well as the environment. So sit back, relax, and enjoy the summer knowing you are not only using the best low profile access floor around; you're also being kind to the environment!